This young woman's jacket (called a caraco in the 18th century) and matching petticoat are made of painted and dyed cotton fabric (chintz) produced in south-east India's Coromandel Coast for export to Europe in about 1770. The design is entirely hand-drawn, not printed. The red and blue colour scheme is achieved using the complex processes of resist-dyeing (for the blue) and mordant-dyeing (for the red), which also involve repeated stages of bleaching and rinsing. This fabric would have been brought to England by the East India Company as part of the immense trade in Indian textiles that was taking place. 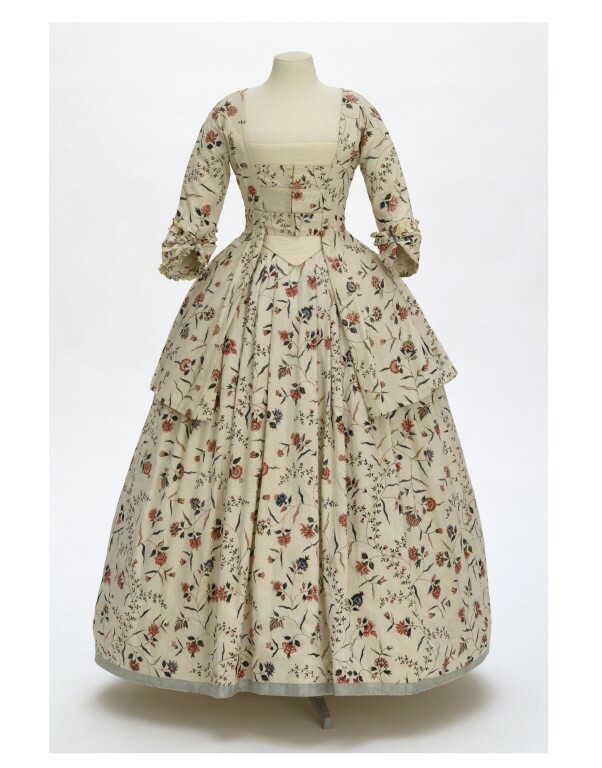 It was evidently made up into this stylish ensemble in about the 1770s. The caraco is ingeniously constructed. One T-shaped piece of cloth forms the back and the sleeves, which fold over the arm, forming a raglan sleeve in the front. The back is shaped using tucks rather than the more usual pleats or seams. 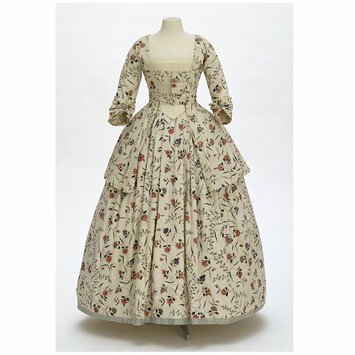 Woman's jacket ('caraco') and matching petticoat of cotton fabric, resist- and mordant-dyed (chintz). The garments were displayed in the Costume Court from 1962 to 1979 and the Asia Galleries. Avril Hart and Susan North, 'Historical Fashion in Detail. The 17th and 18th centuries', London, V&A, p.94 (detail and line drawing). Crill, Rosemary, Chintz: Indian Textiles for the West, London, 2008. 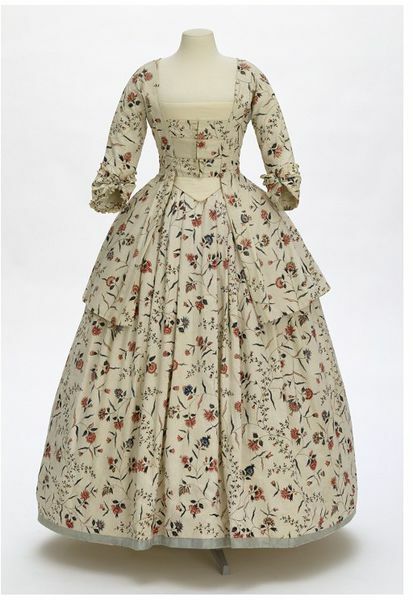 The cotton fabric was made in South-east India for the Western market, and made up in England.